Only 5 years ago, America's energy market was dealing with a decreasing supply of natural gas. A solution to that problem came in the form of liquefied natural gas (LNG) imported from overseas. A number of companies scrambled to build multimillion dollar import facilities. However, the recent tremendous discovery of shale gas has reversed the situation and provided the United States with a surplus of cheap natural gas. Now the same companies are investing huge amounts to retrofit their facilities for export. Industry leaders are betting that LNG will be a profitable export and a means of entry into the transportation industry. Liquefied natural gas opens up new opportunities for the energy industry. Liquefying allows natural gas to be transported without having to build distribution pipes. LNG can be transported safely by refrigerated rail cars or trucks, like liquid nitrogen. This allows clean efficient fuel to be moved to and from "stranded" areas where it is either impossible or impractical to build traditional pipelines. LNG has also proven advantageous as a clean fuel source. It has been shown Pace report, page 5) to produce 70% fewer greenhouse gas emissions than coal over its life cycle. This includes all mining and refining processes, transportation, the physical burning of the fuel, and also any waste management. The most common uses for LNG are the same as ordinary natural gas, space heating and electric production. However, due to its portability it is also being considered as a fuel for vehicles. The first vehicles using LNG have been 18-wheel trucks, some of which previously ran on compressed natural gas (CNG). Outfitting a fleet of LNG trucks is costly, but some manufacturers see it as an investment and are pushing production froward. LNG has the potential to be a driving force in the transportation industry. There is ongoing debate as to how the newly found shale gas should be used. Absent a cohesive national energy policy, most believe the LNG will find its way overseas where it can fetch a higher price. Free market proponents can point to other natural resources such as coal and crude oil that are exported. The price of natural gas is significantly higher in Europe and Asia, and U.S. suppliers are looking to those markets for higher profits. 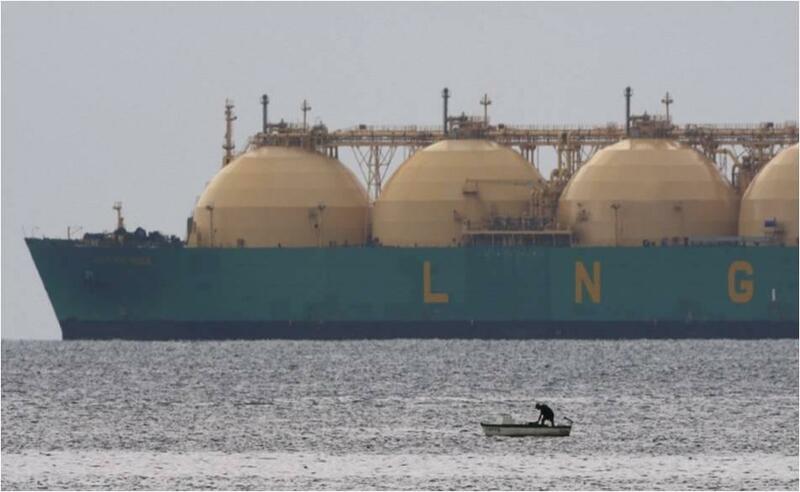 On May 17, 2013 the Department Of Energy approved a Texas-based LNG terminal to export to countries that do not have free-trade agreements with the U.S. This is the second terminal to be granted such permission. If the Japanese government were to okay a restart of its nuclear fleet, they would no longer have high demand for foreign natural gas and oil. Russia has its own abundance of shale natural gas and fracking technology. For years it has been considering building pipelines that would move that gas into Europe and the Middle East. A flood of gas from Russia could quickly send American LNG supertankers looking for new homes. Any fluctuation in supply or demand overseas could move foreign prices closer to those in the U.S. and not warrant the added transportation costs. Exporting LNG will affect supply in the U.S. This will lead to increased domestic prices for natural gas and shrink the profit margin for those sending gas overseas. If U.S. policy makers decide that this new found abundance of natural gas should be kept at home, it would be instrumental in helping us reduce our dependence on foreign energy sources. Our abundance of shale gas coupled with fracking and LNG technology open up a world of opportunity that didn't exist just 5 years ago.